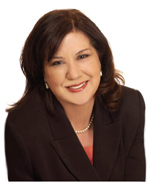 They know that Linda Hollander speaks to business people who want success now. She is a 20-year entrepreneur and Linda the author of the #1 best-selling book, Bags to Riches: 7 Success Secrets for Women in Business. Wealthy Bag Lady presentations are low-fluff, high-content and tailored to your event. Linda Hollander can recruit attendees from her extensive database of over 11,000 people. A popular international speaker, she is the industry leader in teaching entrepreneurial women about small business success. As the founder of the Women's Small Business Expo, she has engineered massive empowerment events that take place every year all over the country. She was nominated for the best women-owned business award by the National Assn. of Female Executives and she has over 20 years of experience in business, sales, marketing, design, promotion and creating lifetime customers. Her upcoming book, Women Hold the Purse Strings, will give companies powerful strategies for marketing to successful women. "Linda was very well-spoken, pribiding viewers with useful business tips"
"Linda Hollander is one of the greats"
Linda Hollander owes her success to the wonderful people in her life: Her parents, Bob and Blossom Hollander, Rhoda and Howard Goldie, and her best friend, Sheryl Felice. She lives in Los Angeles, California with her husband, Leslie Greenfield, and their two cats, Carmella and Sneakers. Find out more about Linda Hollander at http://www.WealthyBagLady.com.